Bring broth, salt and butter to a boil. Combine cinnamon, pepper, turmeric, and cardamom. Add to the boiling broth 3–5 minutes. Turn off heat and add couscous. In a bowl add boiling water to dried fruits and cover fruits for 15 minutes. 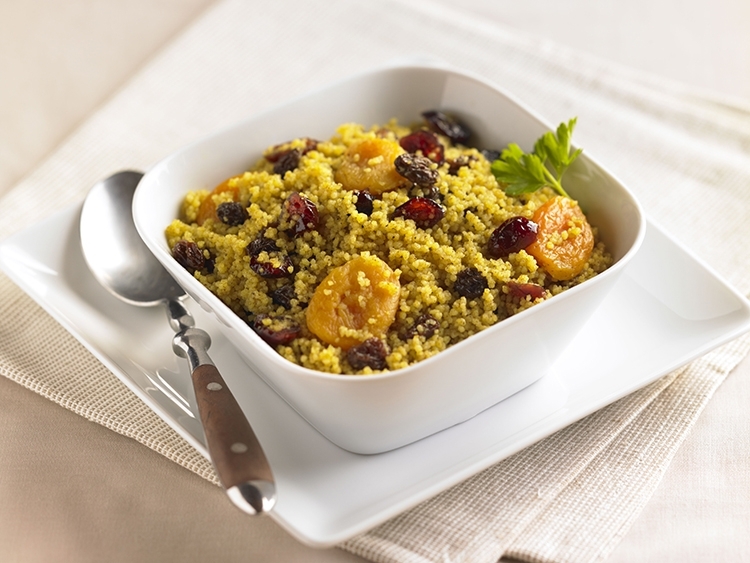 Drain fruits and fold fruits into couscous.